True risk management in forex trading is very often overlooked by traders at all levels. How much are you really risking per trade? Is your risk-reward ratio making you lose all your profit, and then some? Use our free risk management software to easily get an overview of what you are actually risking. 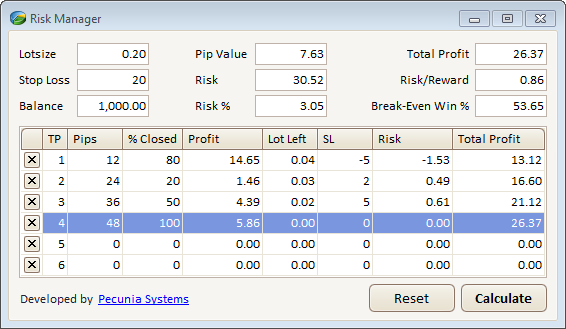 Risk Manager is 100% free software. You can download it below (updated July 8, 2013).